Here's how you revoke and authorize OhmConnect again! If you haven't been connected for a week, something might have been done incorrectly with your authorization. Here is how to restart your authorization. 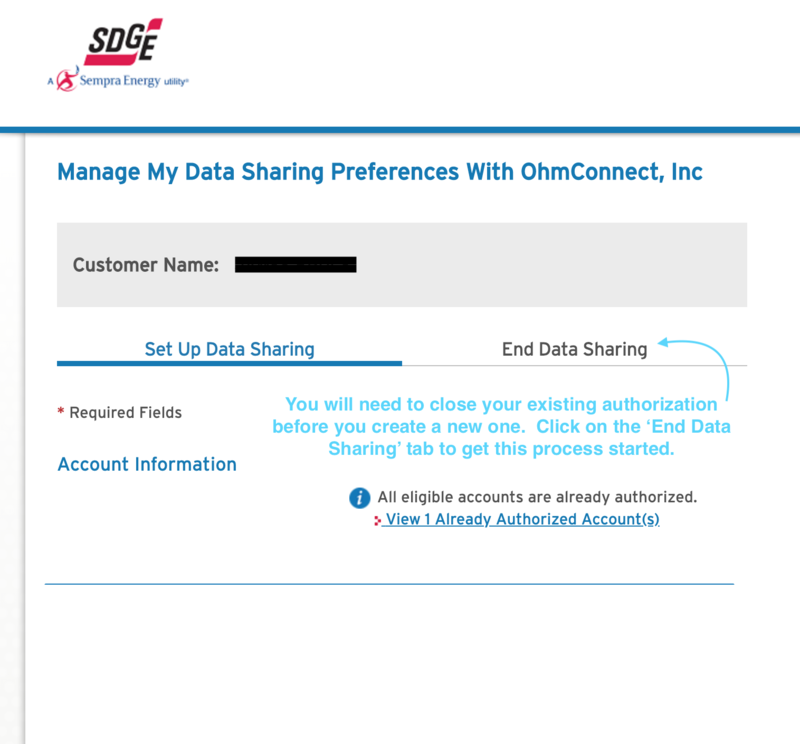 Step 1: Log in to SDGE's secure utility connection page. 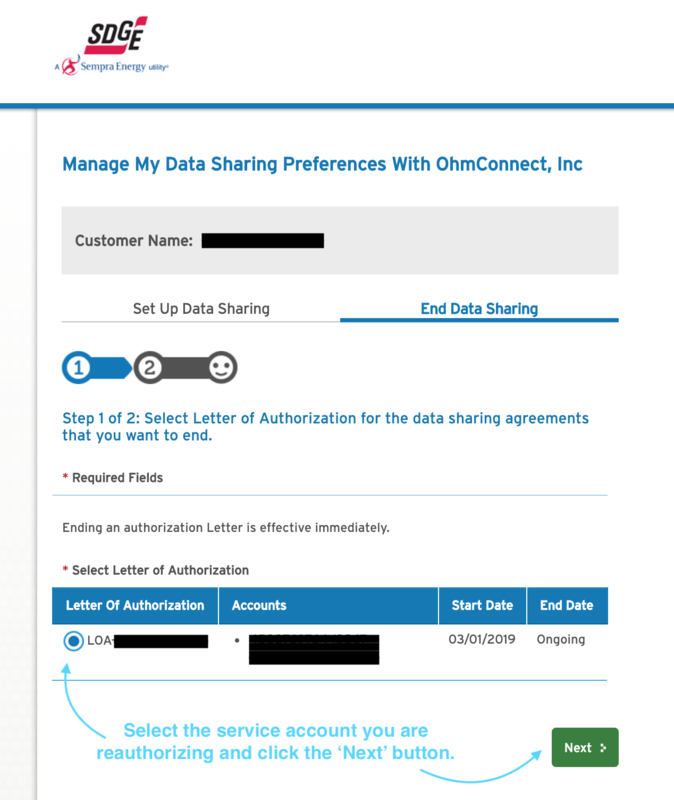 Step 2: Click End Data Sharing to close your existing authorization. Step 3: Select the service account associated with the current authorization and click Next. 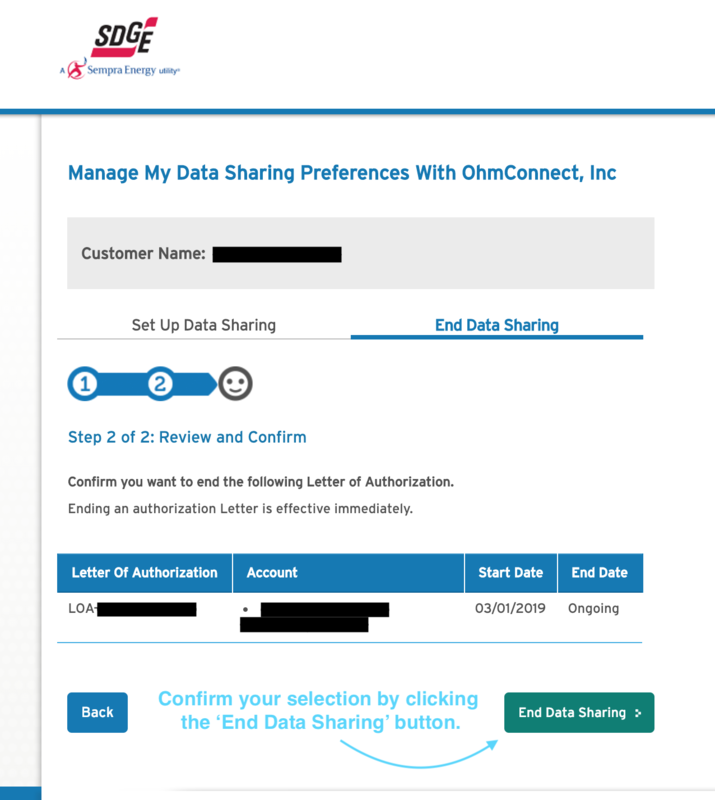 Step 4: Confirm your selection by clicking End Data Sharing. Step 5: Click Set Up to reauthorize. If there is no service to select here, that means you didn't previously attempt to connect your account. Simply skip to step 5 below. Step 6: Last step! 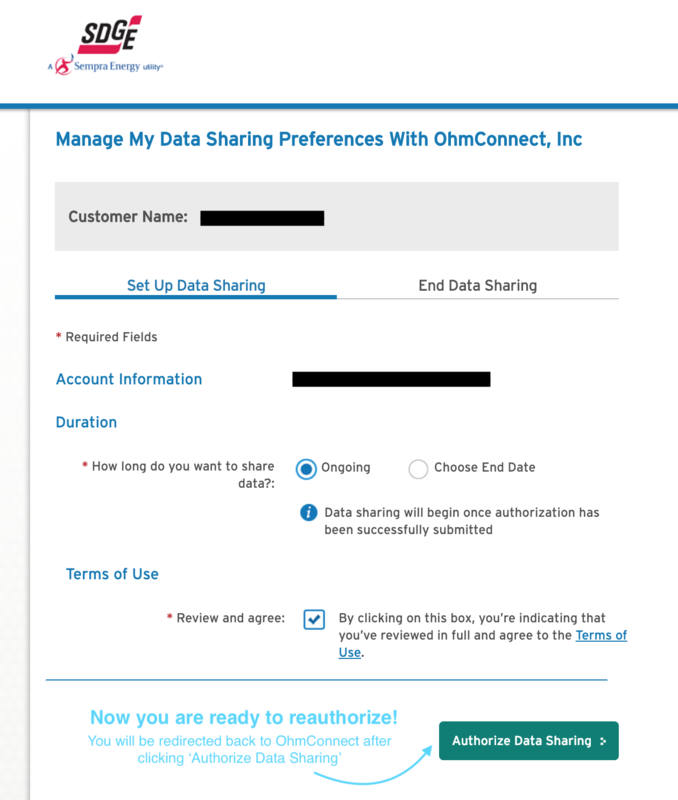 Click Authorize Data Sharing to finish. 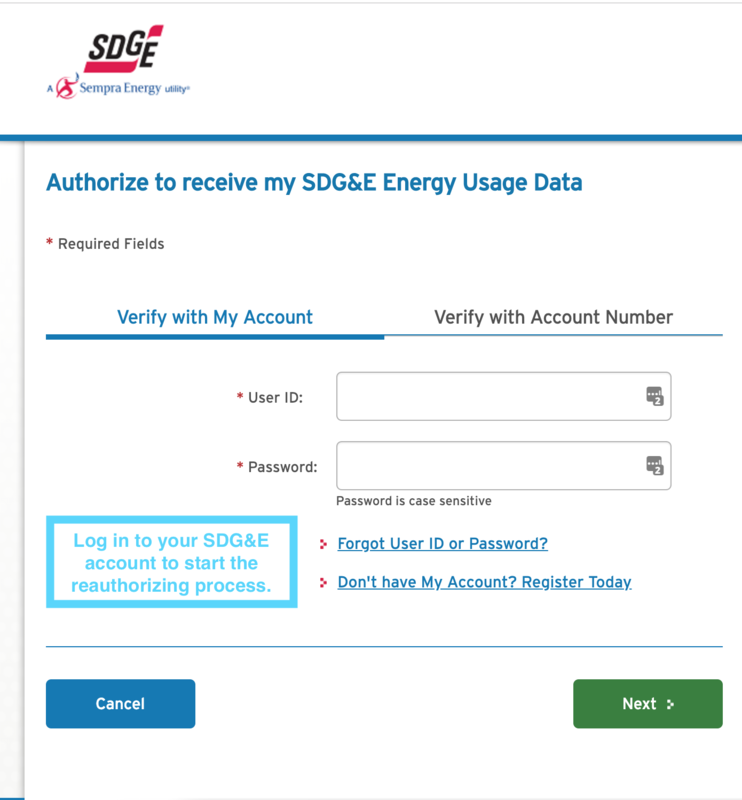 Thanks for reauthorizing your SDGE account! 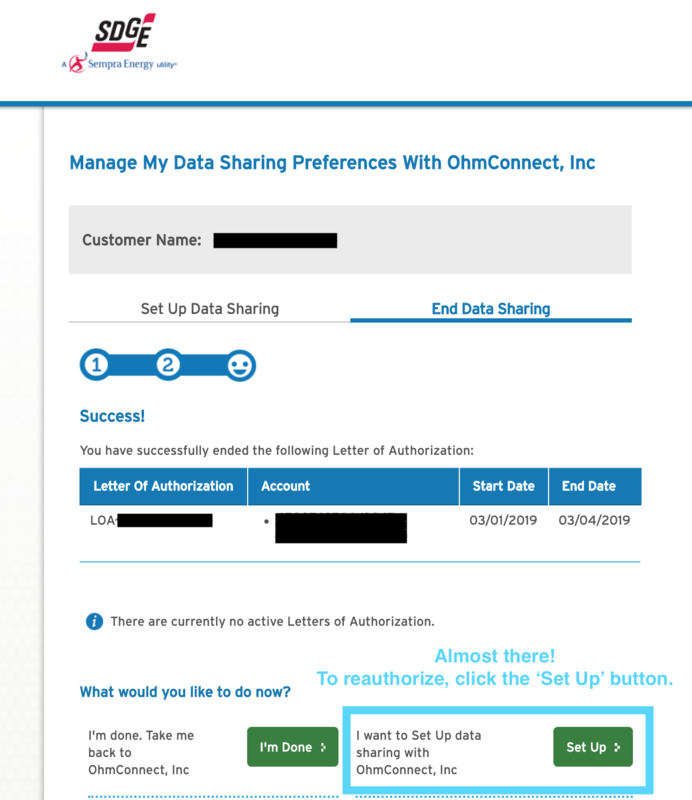 You've now done everything you need to enroll with OhmConnect. Your utility will verify your authorization to see if they have everything they need. This process can take up to 3-5 days. Contact support for help if it's been longer than 3-5 days and you're still not Silver. You can all check this information on your settings page. Thanks for going through the process to revoke and authorize OhmConnect again!